FIU has teamed up with blueEnergy, local agencies and residents to build a sustainable community in Bluefields, Nicaragua. The nonprofit group blueEnergy offers college students internships that put them to work delivering energy, water and sanitation to the seaside town. As a result of years of positive interactions, the six-week summer fellowship will now be exclusively opened to FIU students through the blueEnergy-FIU Global Leadership Program. Annette Dominguez gardening during her 2016 internship in Nicaragua. Annette Dominguez ’17 interned with the international organization in the summer of 2016. She interviewed people who attended a biointensive gardening and nutrition workshops to get their feedback – what did they learn? What challenges did they face while attempting to make lifestyle changes? Dominguez wanted to learn the impact, if any, blueEnergy workshops had on the people who attended in hopes of improving them. 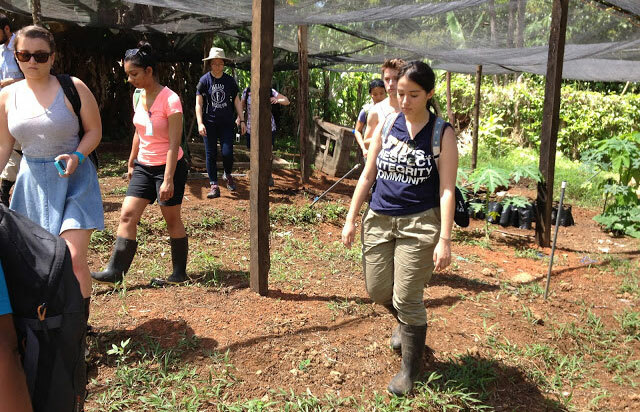 Ana Correa visits a farm in Bluefields, Nicaragua during her 2015 summer internship with blueEnergy. 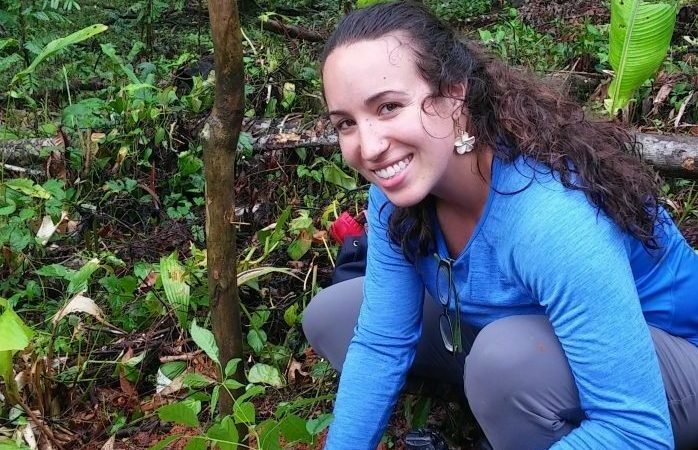 In 2015, Ana Correa ’17 worked on blueEnergy’s climate change adaptation group, which was tasked with helping local residents make home gardens to grow fruits and vegetables that could withstand changing temperatures, water shortages or floods. Because of the experience Correa switched her major from advertising to international relations. She is now a litigation assistant for Earthjustice, a non-profit law organization dedicated to environmental issues. Participants in the blueEnergy-FIU Global Leadership Program will live, work and explore alongside local staff, partners and Nicaraguan community members. In addition to project work, the program will consist of an on-campus pre-trip workshop, in-country orientation, a homestay, cooking lessons, dance lessons, Spanish lessons, reflection sessions, exploration travel and an online post-trip debrief.